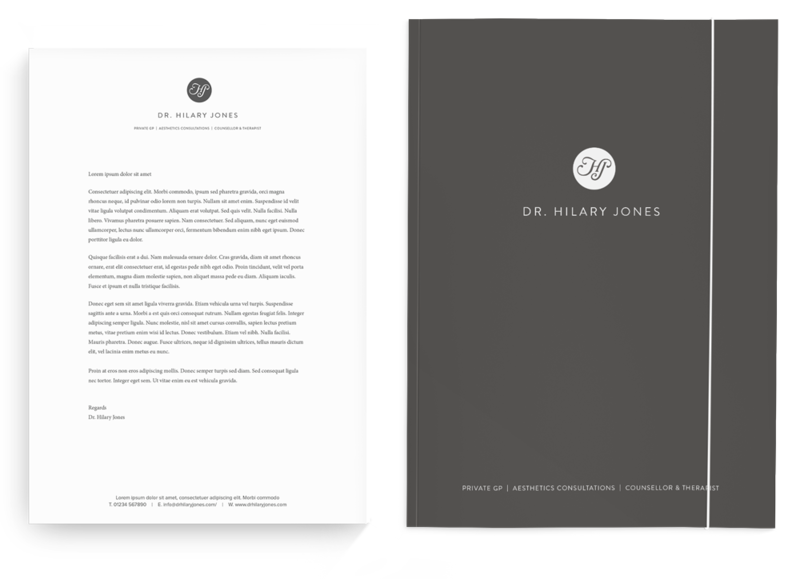 Dr Hilary Jones is a GP, TV Presenter, Medical Broadcaster, Author and Public Speaker. Dr Hilary was looking for a more modern, premium looking logo than the existing one he had. We created a range of concepts and developed the chosen concept into a fnal version. We also designed and printed his stationery.